Sir Henry Thomas De la Beche KCB FRS (10 February 1796 – 13 April 1855) was an English geologist and palaeontologist, the first director of the Geological Survey of Great Britain, who helped pioneer early geological survey methods. He was the first President of the Palaeontographical Society. At the age of twenty-one De la Beche joined the Geological Society of London. 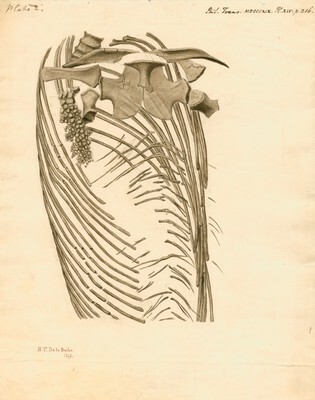 He became an avid fossil collector and illustrator, collaborating with William Conybeare on an important paper on ichthyosaur and plesiosaur anatomy that was presented before the Society in 1821. He continued throughout life to be one of its most active, useful and honoured members, serving as president of the Society from 1848 to 1849. 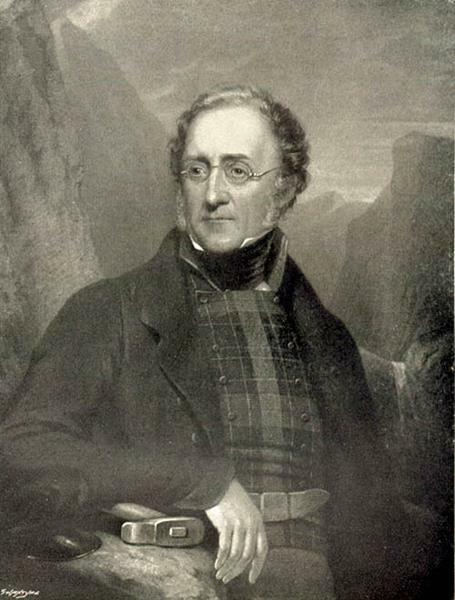 He visited many localities of geological interest, not only in Britain, but also in France, Jamaica and Switzerland. In Jamaica he stayed on his estate, Halse Hall, Clarendon Parish, in 1823–1824 and published his geological account of Jamaica in 1827. Returning to the south-west of England he began the detailed investigation of the rocks of Cornwall and Devon. Contact with the mining community of that part of the country gave him the idea that the nation ought to compile a geological map of the United Kingdom, and collect and preserve specimens to illustrate, and aid in further developing, its mineral industries.